For the second year in a row our beloved Jeep Wrangler was awarded the Best Resale Value Award for Compact Utility Vehicle. Most Jeep Wrangler owners never dream of the day they will have to sell their beloved off-road mavericks, but there may come a day when they will need to sell their vehicle. The good news is that when the day comes, in all likelihood your Jeep will hold on to a large amount of the original value. As proof, the 2013 Jeep Wrangler has recently received two related awards from Kelley Blue Book. The first award that the Jeep Wrangler received was “Best Compact SUV/Crossover”. 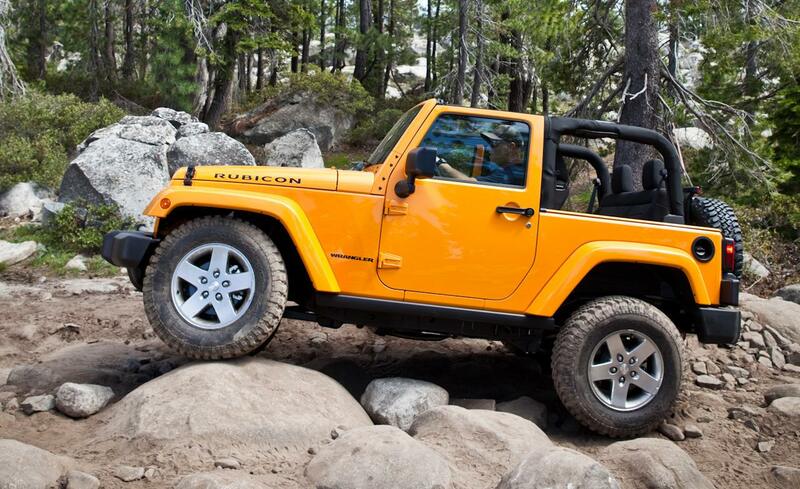 The 2013 Wrangler has a base model price of about $23,000 and has a top value of roughly $40,000. No matter which level is purchased, the buyer can expect the vehicle to hold on to about 67% of its overall value after 3 years and an astonishing 53.3% of its value over a 5 year period. Coming in at a distant second was the 2013 Honda CR-V with an estimated value hold of 64.7% over 3 years and 50.7% over 5 years. The third place award went to the 2013 Hyundai Tucson which holds roughly 59.7% over 3 years and just 43% over 5 years. The 2013 Jeep Wrangler Unlimited was named the second best “Mid-sized SUV/Crossover” with a resale value of 68.3% over 3 years and 55.5% over 5 years. The winner of this category was the 2013 Toyota FJ Cruiser with an impressive 76% value hold after 3 years and a 63% value hold after 5 years. Third place in this category went to the 2013 Toyota 4Runner with a 66.7% value hold after 3 years and a 49% value hold after 5. The 2013 Jeep Wrangler was also named to the overall resale value list placing at an impressive third just behind the 2013 Toyota Tacoma and the 2013 Toyota FJ Cruiser. While the third place finish may seem like a great placement for a Jeep, last year the 2012 Jeep Wrangler was named as the #1 vehicle in regards to holding its value. The 2012 Wrangler is projected to hold 68% after 3 years and 55% after 5 years. What makes these awards even more interesting is that Jeep was the only American automaker to make the list. While many other American made SUVS/Crossovers lose their value, Jeep takes pride in the fact they built a car that lasts and is also desired. Of course these values only hold true if the Jeep Wrangler owner takes good care of their vehicle. That means regular maintenance for over the road driving and the right protection for the vehicle when hitting the trails.